My pattern says to work pieces separately. I am not sure how to do that making a sweater on circular needles. Does it mean to put stitches on stitch holders so that right front, left front,and back are all separate? Without reading your pattern I cannot be 100% sure but I would interpret this instruction to mean that you knit each piece as you would using single pointed needles except on a circular needle. So you would cast on the number of stitches required for the first piece and knit across all stitches (as per your pattern instructions) and then physically turn the work to complete the next row. Are there an unusually large number of stitches on the main pieces? That might explain the need for a circular needle. You can knit more than one piece at a time using a circular needle, you just attach a ball of wool to each piece. 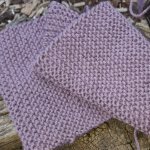 If you want to make sure that your shaping matches, knitting both sleeves at the same time (or the two fronts) can help as you work each shaping row one after an other.